Wow, what a weekend! 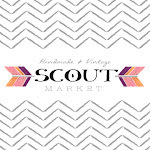 Scout Handmade + Vintage Market was a huge success and we couldn't be more proud of our amazing vendors. They truly pulled out all of the stops with each and every display. The one repeated "complaint" of the weekend was that there was just too much eye candy to be taken in all at once and it was too busy...a sign to us that we did our job well! As with each market we've hosted, we wished we could have had much more time to explore and shop from each booth but thankfully Sharalee Prang took some gorgeous photos for us to share of our market weekend. Rachel and I are utterly exhausted but feel so overwhelmed and blessed by all of the positive feedback that keeps streaming into our inbox. It makes all of our hard work feel very much worth while! Come take a peak through Sharalee's lens...more pictures will be posted very soon! We started the weekend with a sold out wine + cheese night for ticket holders and invited guests, a 1st Dibs evening of shopping ahead of Saturday's crowds. Despite a few hiccups like blown breakers (we only had 3 power outlets to share between all 50 vendors, sound system, espresso machines and washroom trailer, ack! ), it was such a fun and relaxed evening...we may have even had a local celebrity join us too! A huge thank you to Shape Properties for providing us with the perfect venue for our event and especially to Katie and Jessica for seeing our vision of a pop-up style market and believing in us! Jessica of Trove Vintage Rentals provided a gorgeous vintage lounge, complete with an amazing handmade "chandelier", which was the perfect centrepiece to our space at The Parallel Marketplace. The live performances by husband and wife due Coalmont and jazz vocalist Sharla Sauder were fantastic and we can't wait to hear more from them at other local events like Jam in Jubilee this summer! 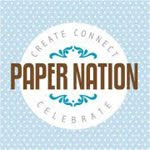 If you got your photo taken at Jayme Lang's photo booth near the entrance, visit her blog link here to pick your picture out from the rest of the smiling faces there! Our guests sipped on delicious wine from Hester Creek, sampled gourmet cheeses prepared by Formaggio Fine Foods, and nibbled Tracycakes cupcakes (in our Scout colours, no less!) and yummy handmade marshmallow s'mores from thePink Spatula while they browsed. 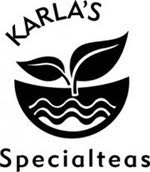 They also had a chance to enjoy hot coffee from Clayburn Gourmet Gallery, chilled tea from Karla's Specialteas and took home some sweet gift bags supplied by Paper Nation, with samples from many of our vendors tucked inside. It very much felt like a girls night out...with some lucky men in the mix too! Some more important thank you's go out to Thrifty Foods for providing a delicious lunch for all of our vendors (and for being so patient with the parking lot craziness on Saturday!) and to all of our other generous sponsors for their donations to our silent auction benefitting Life Recovery. 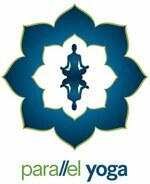 On Saturday, Parallel Yoga offered afternoon classes (one was even outdoors in the field!) by donation to Life Recovery and we are so excited to include their generous cheque with the rest of the admission and silent auction donations later this week! 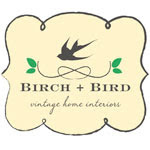 Thank you for supporting local businesses and for shopping vintage + handmade!